The art of storytelling has developed strong roots in India over the ages. While the obvious citations of the epics like the Mahabharata, children’s stories like the Panchatantra, and folk theatre come to mind, perhaps what underscores our affinity for storytelling in today’s age is the way so many of us in India enjoy weaving tales to explain everyday occurrences, adding in a dose of drama to our daily existence. 64 percent India marketers say that Content Marketing is a core ingredient for brand awareness and 53 percent say that it helps in attracting and retaining customers, according to a January 2016 study from eMarketer. At the same time key challenges are highlighted as more than 85 percent of Indian marketers claim that they struggle to create meaningful content and tie it back to business results back, according to a study by Octane India. Over the past few months, in my conversations across the industry — with marketers, in industry conferences, with agencies and industry commenters — I have has also realized that these findings are typical of the conundrum that the average Indian marketer is currently facing. To dig a little deeper, LinkedIn got together with a few thought leaders in the Content Marketing space in India recently to understand their perspectives on the state of the industry. We had a brainstorming session with a mix of CMOs, Content leaders from Media Agencies, and founders of Content Agencies — a true microcosm of the content industry in the country today. As Jatin Modi from Frog ideas put it, “Content is what Marketing is supposed to become.” I believe that deep down, the average Indian marketing manager acknowledges this fact but may not admit it publicly. I have interacted with multiple marketers out there who are itching to run content marketing programs. Marketers in India have read up on the subject, done their research on trends in the industry abroad and are excited about the possibilities. However, they need a little more confidence and education to actually go all in with content — an area where leadership in the field has frankly not provided much air cover at this juncture. As a LinkedIn marketer, I have been lucky not to need to make a formal business case with my senior management to get them on board before I run content marketing programs. But I know that many of my counterparts in India specifically face this issue. While marketing teams understand the benefits that will accrue from running thoughtful content marketing programs, proving ROI from content marketing programs and tying campaign results back to business impact is an ongoing issue where programs fall short. This is an area where the industry in India would benefit from guidance on content marketing frameworks and process, clearly defined metrics, suggestions on tools and models which could be adopted to help marketers, with this specific challenge. 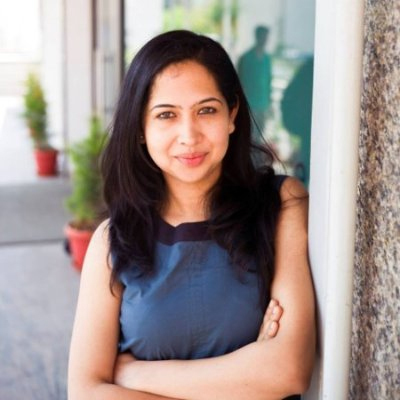 Karuna Kumar from GroupM put forward a unique perspective on a Content Marketing Framework which could be adopted. A framework should recognize impact at various levels and should encompass aspects around Delivery (measuring qualitative returns). Influence (conversation starter) and Financial Impact (tied to business results). This is a good starting point, but I believe that this area needs substantial discussion and debate. After all, there is no one size fits all model in marketing . A key challenge which came up in the discussion was the lack of suitable talent to run high quality content marketing programs that are on par with those originating from more developed digital markets. The need for training on a range of subjects including how to get started, structure and run content marketing programs is deeply acknowledged. Driving up the overall respectability of the content marketing profession by fostering a sense of community and acknowledging exceptional work will also alleviate talent issues in the space. We currently have a long way to go before we can claim that talent in the industry is at an ideal state. The Indian marketing ecosystem has the potential to become a content hub for the world in the longer term, but without first addressing these issues on the talent side, we will not be able to reach our potential. I believe that thought leaders in the space in India have an opportunity over the next few years to shape the industry and put us on the map of great content markets globally. From a LinkedIn perspective, as well as a marketer myself, I believe that we need to step forward to take the initiative to play a more formal role in taking the Content Marketing discipline forward in the country. An ongoing calendar of programs stemming from an endeavor like a formal Content Marketing Council would be a huge step forward. The Council’s key charter should marry our inherent love for storytelling with structured programs around content marketing based industry education, recognition and community building measures. By engaging with marketers across levels and reinforcing messaging around content marketing, an initiative of this nature has the potential to impact the industry at scale and overall alter the trajectory of the Content Marketing space in India. For more information on how to build a killer content marketing program, whether you're a marketer in India or anywhere else on the planet, download The Sophisticated Marketer's Guide to Content Marketing today! Cannes Lions 2016: Will They Roar or Will They Whimper?